The Samurai began life as retainers to the nobility and over time became known as the main warrior body of Japan. Initially, they were cavalry, armed with hand weapons and missile weapons. Hard hitting and superbly trained they were a professional force given many privileges as long as they served well. Eventually, they would become a political force in their own right, often answering to no master other than in name. This also led to internecine fighting between various factions for territory, revenge or simple pride. By the 16th and 17th centuries, warfare was changing and the Samurai were changing with it. They did not forget their horse-riding roots while this change happened. Even though the introduction of the long spear made cavalry charges more difficult to pull off they were still performed. 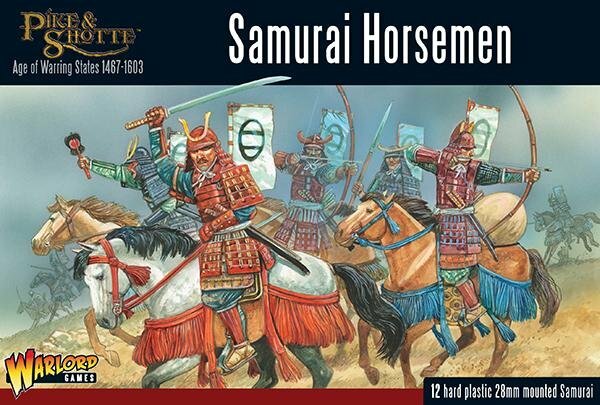 A well-timed strike by a unit of Samurai horsemen could turn the tide of a battle. These cavalry attacks continued throughout the Sengoku period and many a daimyo lost his head to one.